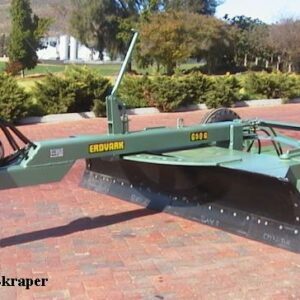 The Erdvark G25 Grader blade have a cutting width of 2.4 meters and weigh 1000 kg. Tractor requirement is 20 to 60 kW for narrow roads and general farm use. The G25 Grader is ideal for maintenance, building of roads and contours in confined spaces. The G25 Grader can build new and maintain existing fire breaks. 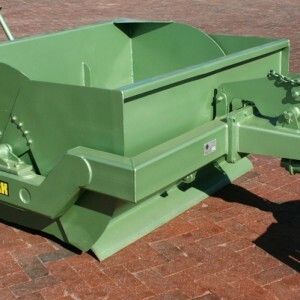 The Erdvark G25 Grader is ideal for municipalities to do maintenance of dirt roads. This Grader can also dig trenches and level irrigation fields. Hydraulic and Mechanical operated or full Hydraulic operated. The G40 Grader blade width is 3.1 meters and the weight is 1500 kg. The Tractor requirement is 30 to 100 kW for general farm use. The Erdvark G40 Grader is ideal for maintenance and building of roads, contours and is ideal for making new and maintaining existing fire breaks. 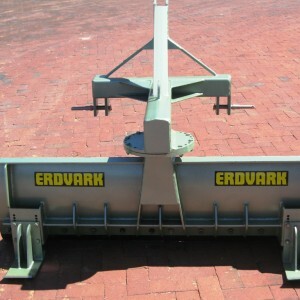 The Erdvark G40 is an ideal Grader for municipalities to do maintenance on dirt roads. The Grader can also dig trenches and level irrigation fields. 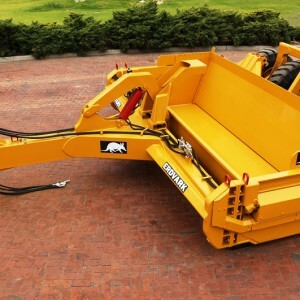 The Trailed Grader is full Hydraulic operated or Hydraulic and mechanical operated. The G50 Grader blade width is 3.1 meters and the weight is 2200 kg. Tractor requirement of 50 to 130 kW for general farm use in harder conditions. The heavier G50 can operate in harder conditions and handle more material than G40 model. 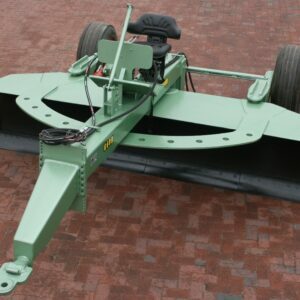 This Grader is ideal for the maintenance and building of roads, contours, landing strips and is ideal for the making of new and maintaining fire breaks. The Grader can also dig trenches and level irrigation fields. The G50 is an ideal Grader for municipalities to do maintenance of dirt roads. The G50 Grader is full hydraulic operated or hydraulic and mechanical combination. 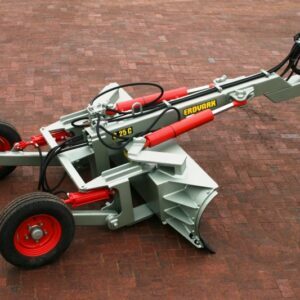 The G57 heavy duty Industrial Grader blade width is 3.1 meters and the weight varies from 2300 kg to 2500 kg. Tractor requirement is 50 to 150 kW for ruff conditions and for high duty cycles. The Erdvark G57 is an ideal Tractor Trailed Grader for municipalities to do maintenance of dirt roads. 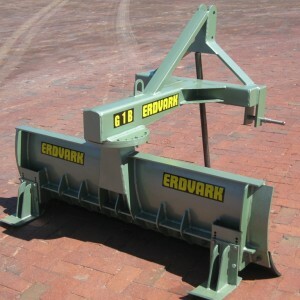 The Erdvark G57 Grader is more robust than G50 model and can handle ruff industrial conditions. 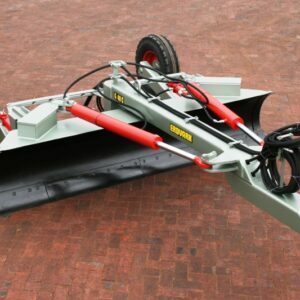 This is an Ideal Grader for maintenance and building of roads, contours, landing strips and is ideal for making new and maintaining fire breaks. The Grader can also dig trenches and level irrigation fields. 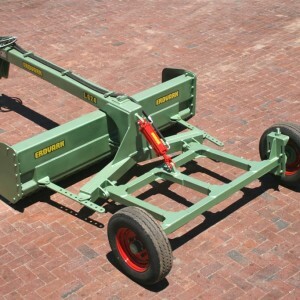 The Erdvark G57 Grader is full hydraulic or hydraulic and mechanical operated. The G60 Grader blade width is 3.8 meters and the weight is 4000kg. Tractor requirement is 80 to 180 kW for maintaining and building of main roads, contours, trenches and landing strips. Ideal for making new fire breaks and maintaining. The heavier Erdvark G60 Grader can operate in harder conditions and handle more material than G50 model. 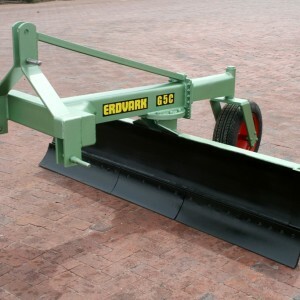 The Erdvark G60 is an ideal Grader for municipalities to do maintenance of dirt roads. 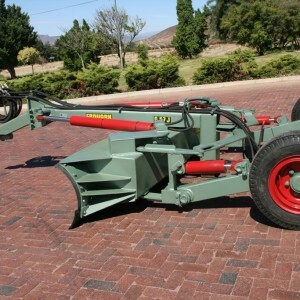 The G60 is ideal for digging trenches and leveling of irrigation fields. The grader is full hydraulic or hydraulic with mechanical functions. The Erdvark LG Finishing Grader model is ideal for leveling and finishing of irrigation fields with blade width between 2.4 m and 3.5 m. The LG is a Trailed type hydraulic operated Grader with a tractor requirement of 30 to 80 kW. The Erdvark LG model has road maintenance capabilities. 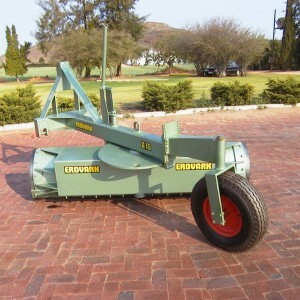 The Finishing Grader can be supplied with Tandem Wheels for more stability. The Finishing grader can be supplied with solenoid valve to make it laser ready and a further hydraulic switch between Laser and Road Grader.